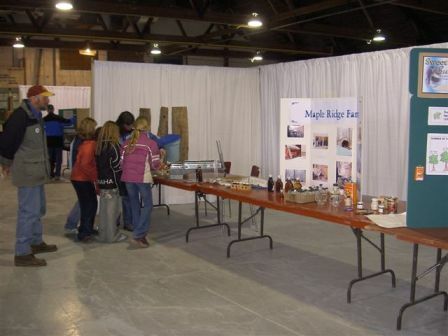 These are the various learning stations that were present at Grown in Grey 2012. 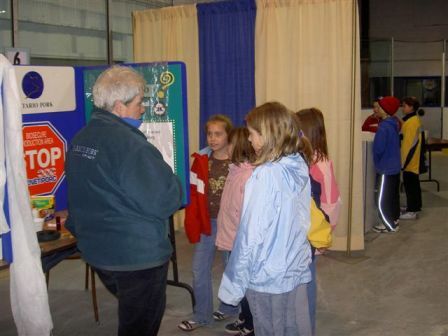 Each group of students was given a ten minute presentation by a knowledgeable representative from the group who set up the station. Click on each link to find out more! 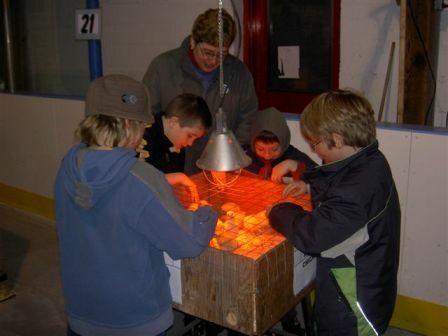 The students at the chicken station saw chickens of all ages, including day old chicks. They also discovered what chickens ate, where they live, and how quickly they grow. 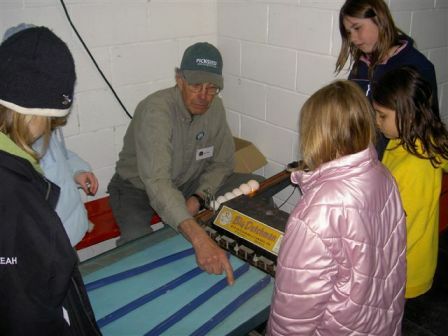 Students at another chicken station learning about the equipment needed to raise a large flock. 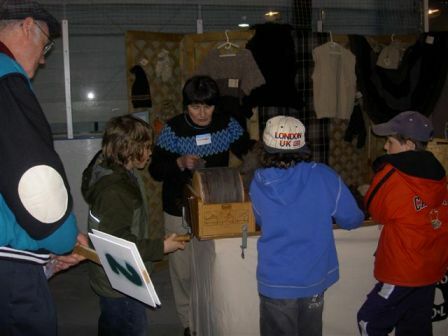 Here they saw how chickens are fed in a modern chicken barn. 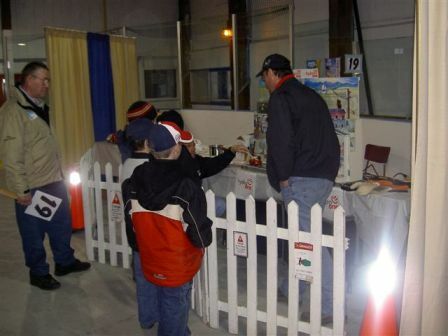 Here children are learning about the wonders and dangers of electricity through a 'shocking' presentation. 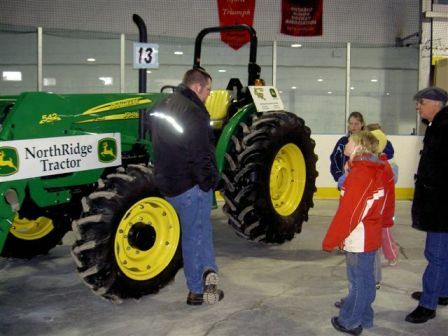 The students at this station get a close look at a new John Deere tractor. They learned how and why tractors are used on farms in Grey County. Children at this station get a closer look at a John Deere tractor. They learned how and why tractors are used on farms in Grey County. 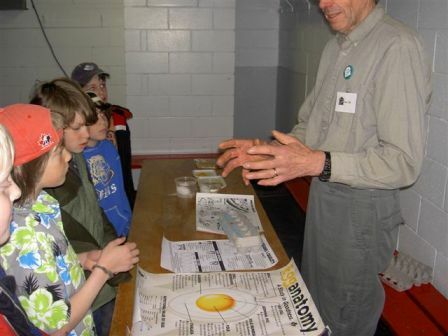 Students were shown how to tell the difference between fresh and old eggs and learned about the anatomy of an egg. 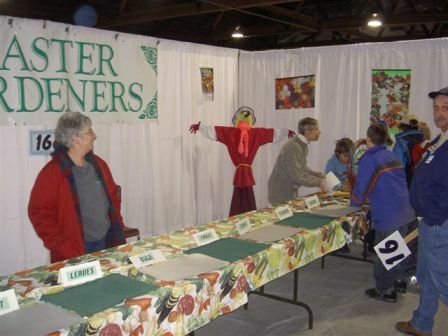 The Egg Farmers of Ontario were new presenters in 2007. 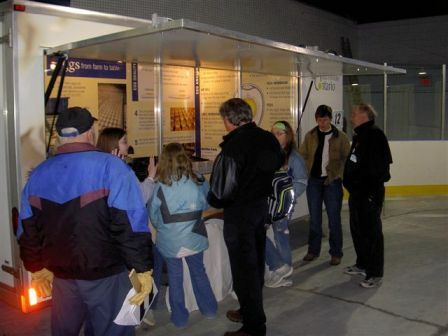 They brought their “Eggmobile,” which included laying hens, an egg collection, and grading equipment. 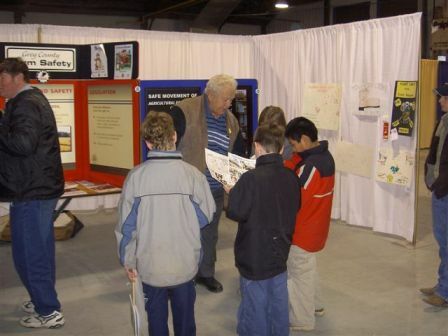 The children learned about some of the dangers that exist on farms and around the home. 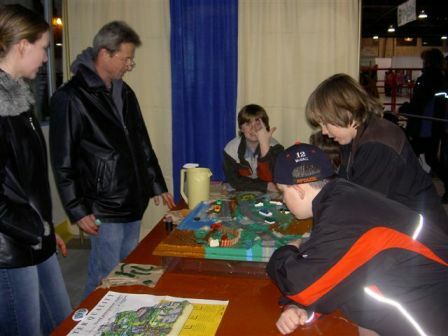 The children learned about forests and their important role in our lives. 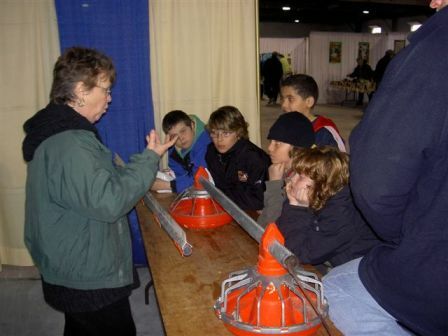 The presenter is showing the students one of the most important things of modern life that is derived from trees in a forest. 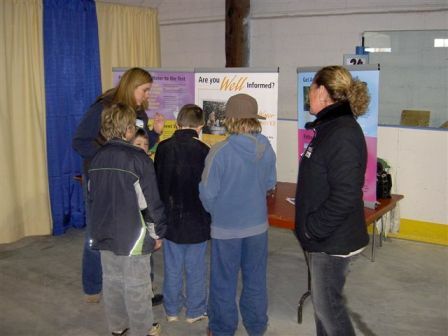 At the pig station, the students discovered the many products pigs produce that we use in our day-to-day lives. 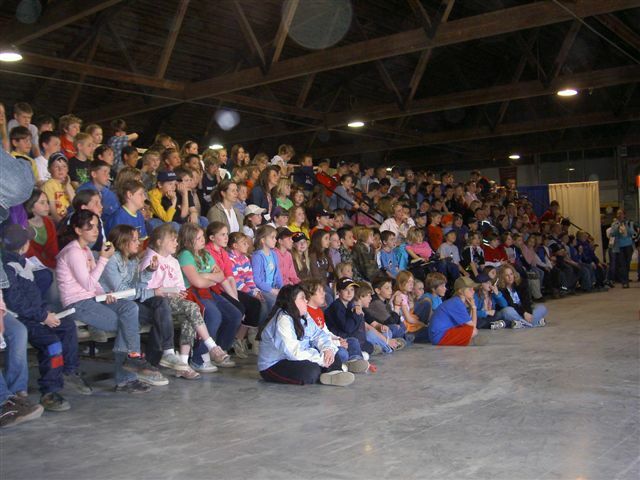 The children pictured here are sitting on the bleachers getting ready to watch a milking demonstration. Here is a Holstein cow that was just milked. If you look closely you can see her milk in the glass container. 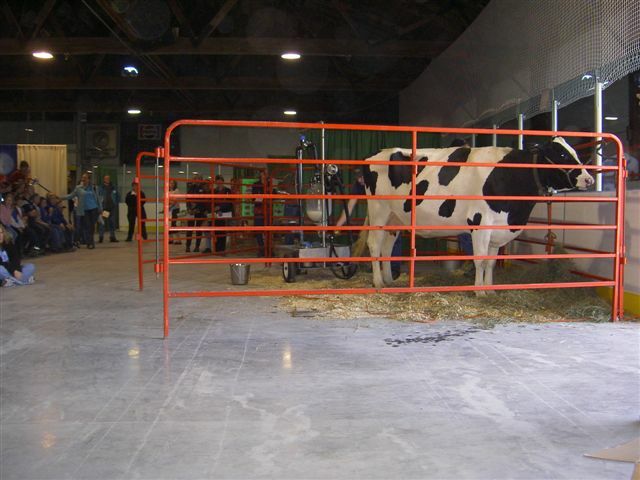 The students are being shown some of the equipment and feed necessary for milking and taking care of cows. 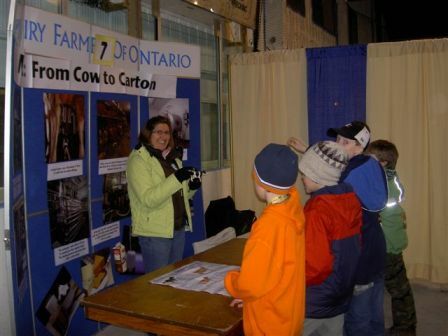 At this dairy station, the students learned all about milk production. 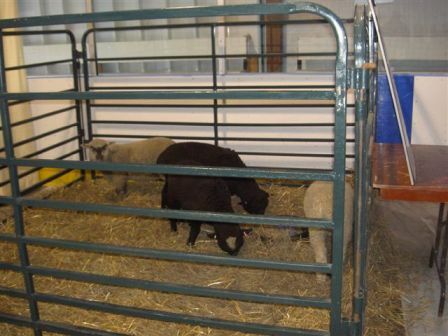 At the sheep station, the students were able to interact with lambs and learn how sheep are raised on the farm. 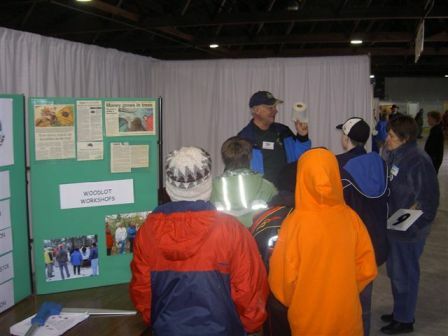 The students learned how important soil is to farmers and ultimately to us all. They learned how soil can be conserved and protected so that it will yield bigger and better crops. The students learned in a fun way about the basic structure of all plants and how we use plants for food and other uses. 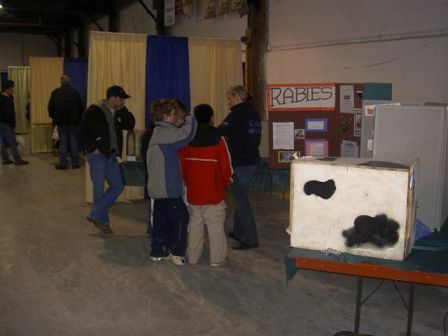 The students discovered how veterinarians play an important role on farms. 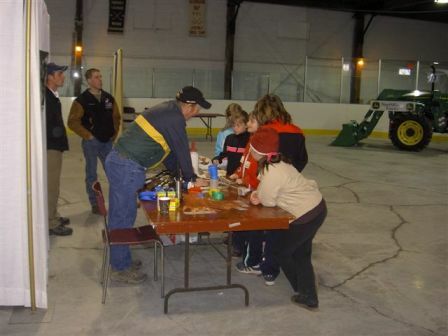 They saw some of the tools used by vets and learned about wild animals and rabies. 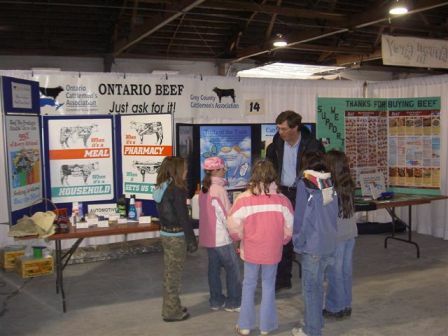 The beef station showed the students about all the different ways that beef and beef products are used. 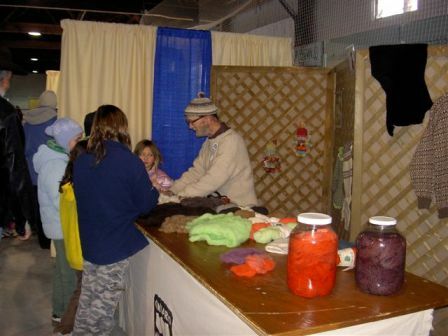 The students learned how wool is transformed into clothing and other products. The students discovered how wool can be changed into many colours. 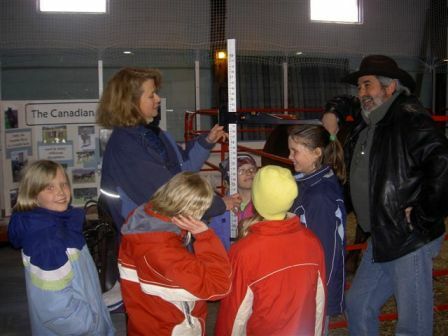 The students learned about the Canadian Horse Breed and how it was developed in Canada. Some of the students were measured to see how many “hands” high they were. 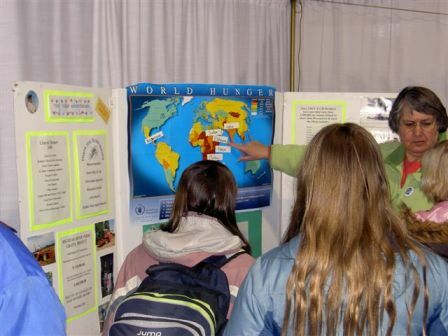 The students learned about global strife and hunger caused by war and famine and what local farmers are doing to help. Grown in Grey. Copyright © 2015-2019.